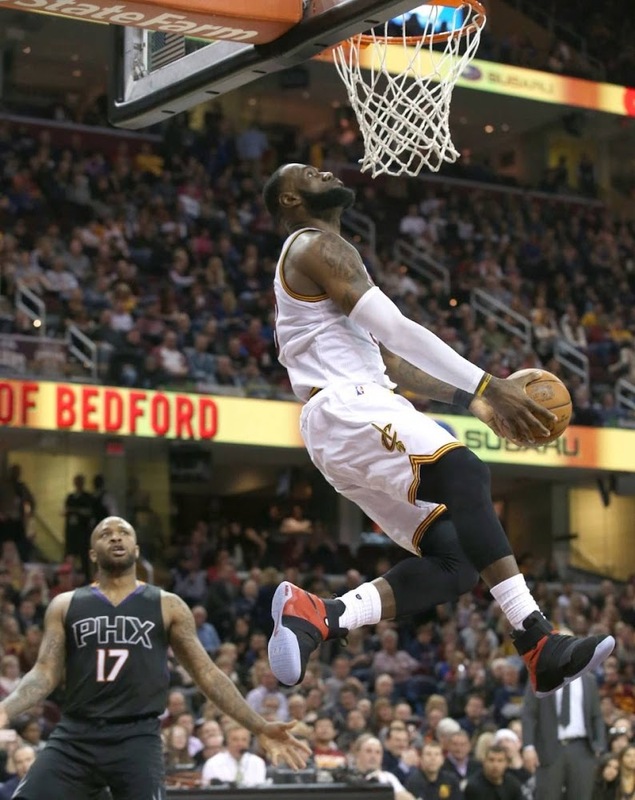 Last night, The King put on a dunking clinic. 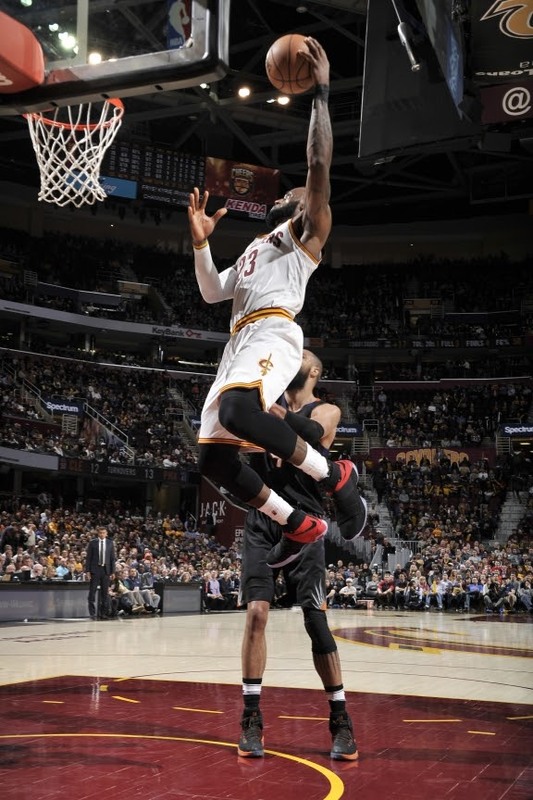 Even at the age of 32, he still is a phenomenal athlete and that really isn’t up for debate. James nearly destroyed the rim on a pair of dunks against the Phoenix Suns including his signature reverse slamma jamma, which he used to do a lot in the past. 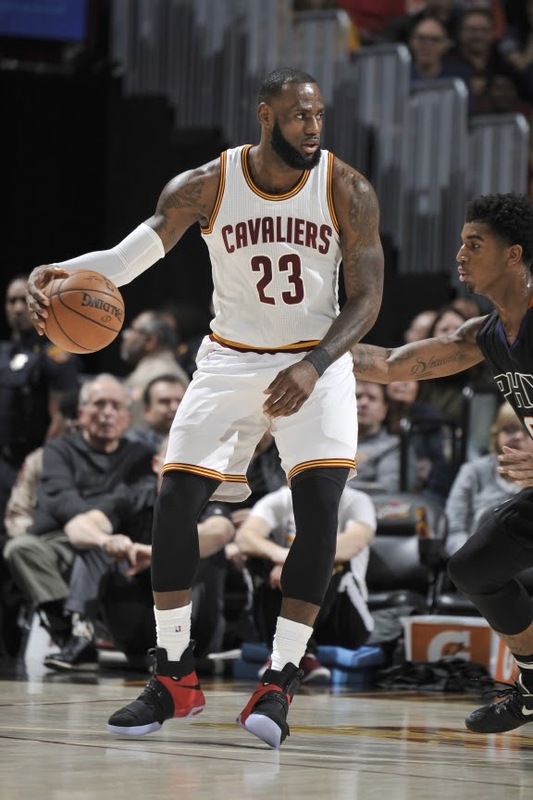 He ended with 21 points and 15 assists, and Cleveland looked more like an NBA champion after coming back home in a 118-103 win. 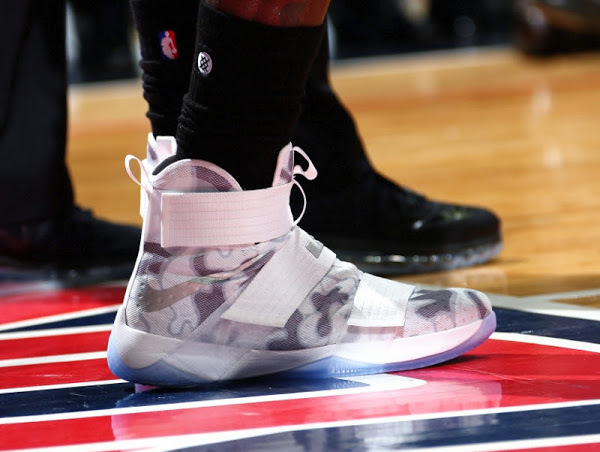 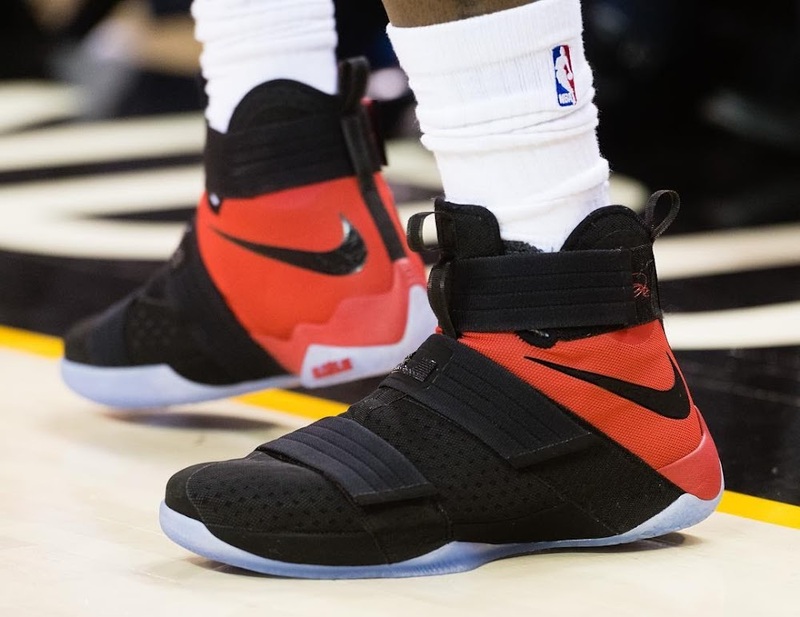 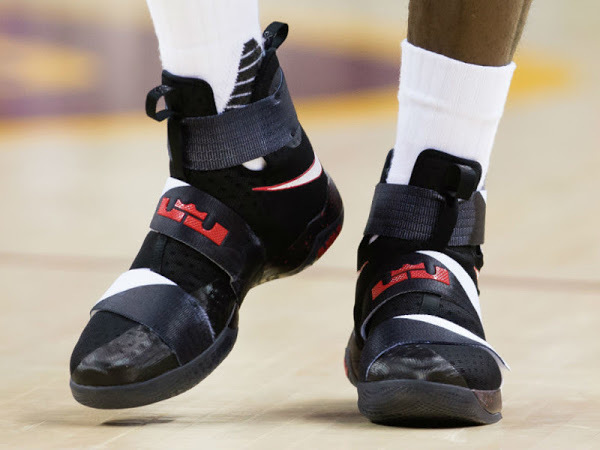 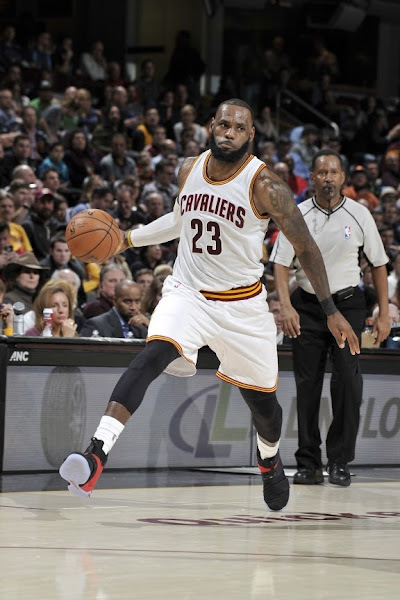 LBJ laced up his 16th colorway of the LeBron Soldier 10 and debuted the Black and Red signature General Release, which hit the stores in December. 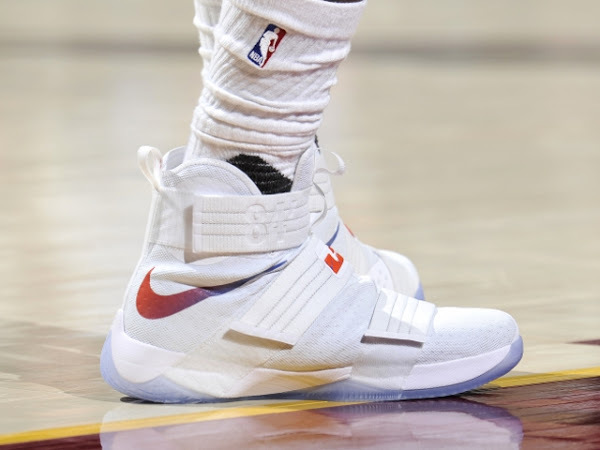 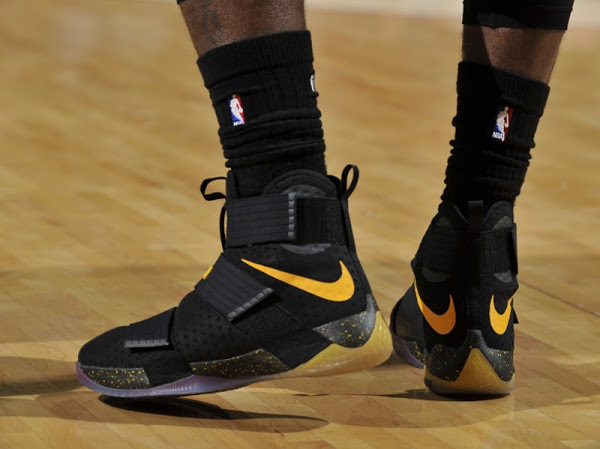 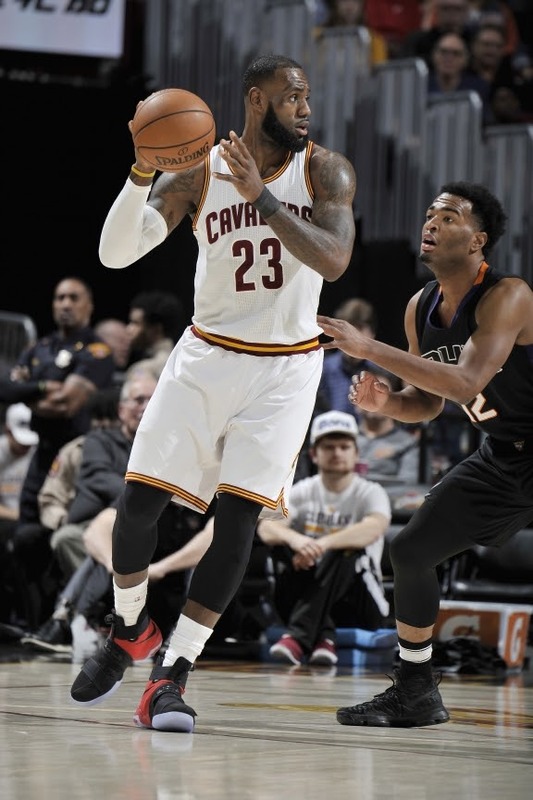 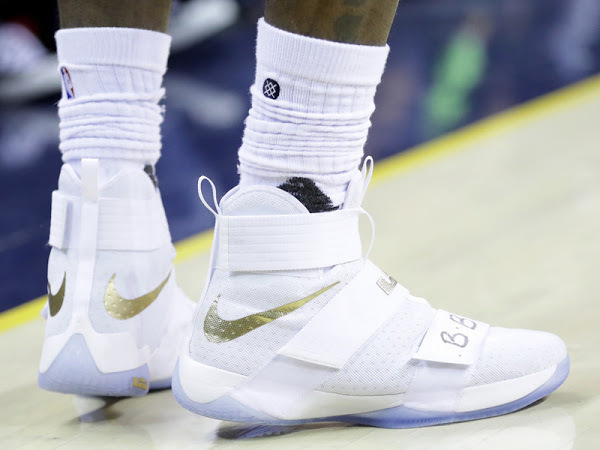 He already used 28 different shoes in 2016-17 NBA Regular Season (played in 38 games), but I’m pretty sure he will move on to LeBron 14 for good after the premiere. 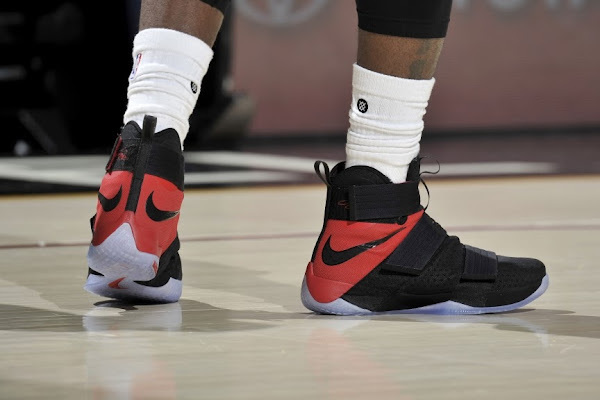 After all we only saw 5 colorways so far.